1. Rigid Plastic: Lightweight, gloss white PVC with high impact strength. Suitable for both internal and external safety signs. Easily drilled for wall fixing. This PVC banner comes complete with eyelets includes the wording Car ParkPrinted PVC banners offer a quick and effective solution to site safety. 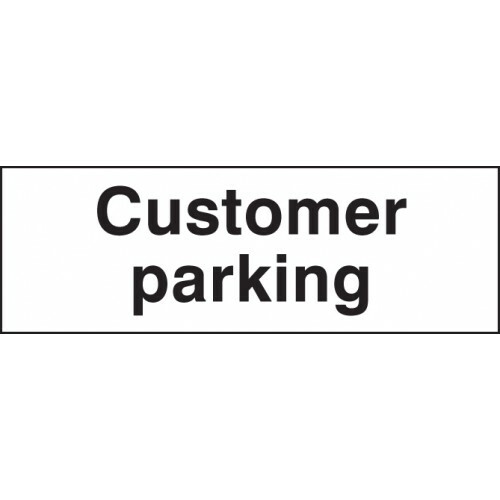 Miscellaneous Products / MaterialsAny product outside..
2mm White powder coated aluminium plate on 8mm poleA quick and easy solution for parking and information signage Can be simply sunk into the grass verge using the pole spike for temporary use or can b.. Useful safety and information signs for use in garages Material Options Explained Below is a more detailed description of the materials this particular safety sign is available in. Helping you decide..
General information signs can be used to advise staff and visitors of room usage or equipment and directional instructions Material Options Explained Below is a more detailed description of the mater.. Car park security and information notices Material Options Explained Below is a more detailed description of the materials this particular safety sign is available in. Helping you decide which sign o..